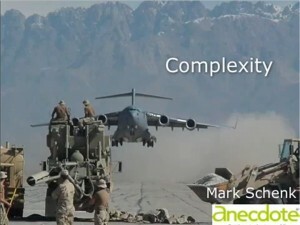 Mr. Mark Schenk provides a good overview of various types of problems in this video. What is clear is that complex problems require an approach that is different. The Weston Group has adopted The Unicist Standard for addressing issues with complex problems or adaptive systems. I personally invite everyone to join in using the best technology in the world for creating real results when the problems are complex.